Home PayPerHead Sports Betting Software is Affordable | What is the Cost? Sports betting has changed drastically over the last few years and most of the changes have been great for the consumer. Not all have been great but for the most part, the bookies have the bettors best interest in mind. Let’s face the hard facts… The bookies need the bettor, without them, the bookies will go broke very quickly. The best example is a mechanic shop-an auto repair business, without cars, the business has nothing. It’s up to the shop owner to find the best equipment to fix the cars and then go out and find the clients. Folks have cars, they drive cars and those cars break down. A successful shop owner will stay busy and finding ways to stay busy is the goal. How does the auto industry translate to sports betting software? It doesn’t! What we want you to see is this; in business, you must be all things, to all people, all the time, if you fail to do this, then you will be left behind. There will be someone to come along and pick up the slack that you left, and they will scoop your client in a hurry. This is a simple question that comes loaded with a simple answer… You must offer your client the best betting options that are available on the internet. You must offer them the best wagering menu with all the best sporting events and the best betting options night in and night out. You must always be prepared with competitive lines and odds, and on a nightly basis. You must offer your client an easy and user-friendly wagering interface that invites them to wager with you. Many online betting sites are user-unfriendly and can be highly frustrating. Avoid this noise with great Sports Betting Software that is not only affordable, but client friendly. Is sports betting software affordable and is it worth the price? Question: What is sports betting software, what does it do, and what does it offer your clients? Sports betting software is an accounting program for online bookmakers that is a turnkey ready program that literally does everything a bookie would ever need a paid accountant or office assistant to do. Look at some of the benefits for the bookie as well as the client. Full internet wagering access that includes a state of the art wagering platform, offering every popular way to bet on sports, from teasers to reverse action, prop lines, futures, totals, live lines, dynamic lines and much more. A huge selection of sports to wager on, including much more than just the NFL, NBA, MLB and NHL. Sports betting software offers an industry competitive array of sports and sports venues, worldwide. 24/7 English speaking, customer service. Full casino access with the popular games and tables. Full race book access, including more than 100 tracks, both major and non-major. Quick and easy deposit options. 24/7 English speaking, customer service with industry-trained professionals that can answer all or any of the questions, problems, or needs that you may have. A fully functional online sportsbook, casino and race book, that’s completely turnkey, ready and useable. State of the art bookie software that is super user friendly, for both you and your client. Withdrawals, you will never have to hunt someone down to pay them or have players showing up at the office or your home. Player profiles, complete player information, helping you to know the player’s habits. Cash flow, real time reports that show exactly every dollar taken in and every dollar paid out. Weekly player balances, you can know exactly how many players were active and how many players have open and/or pending wagers. Up time– with an exclusive patented, state of the art security wagering software that guarantees a 99% up time, there simply is no down time. That was the good news, now for the best news… All of this is affordable. Sports betting software is usually referred to as a “Pay Per Head”. A pay per head is bookie software that is offered by a pay per head provider. There are many pay per head providers online, and they often offer the same basic ideas as their competitors but packaged in various ways and priced differently. 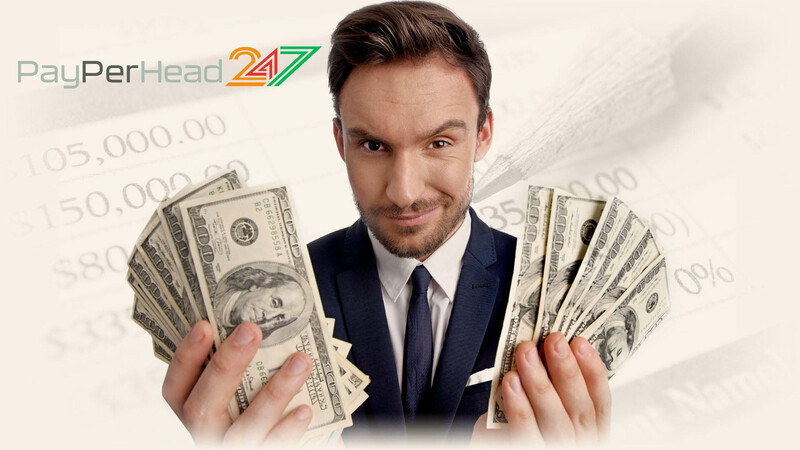 Pay per head software is just as it sounds– as a bookie, you pay per head, or for each head that gambles on your web site– each client that you have, is represented as one head (one person). The industry standard is around $10 per head, per week. You pay the per head cost if they use your website and place at least one wager. Your client may place an unlimited amount of wagers for the duration of the week all for the one low cost. You do not pay the $10 if your client does not play. Example: Thursday— Client X places a $100 wager on the Boston Celtics, this wager just cost you the bookie, $10 to your pay per head provider. You have through the following Thursday for client X to wager as many times as he likes with no additional cost to you. He can make just that one wager or he can place 500 bets. There is no additional cost to you the bookmaker. You pay around $10 per head, per player, per week for an outstanding service with all the benefits and more as outlined above. If you are serious about your bookmaking business and if you want to grow, then get in the game now and find the best sports book software. It’s highly affordable and will prove to be a boost to your business and overall net profits. It’s time to start enjoying your profits and start working smarter not harder, enjoy what you do.